Get free teleseminars, cool freebies, health tips and more! Onions: Love’em or Hate’em, They’re Good For You! Did you know that nearly 40% of women will develop cancer in their lifetime, 1 in 3 of which is breast cancer? Fortunately, there’s a lot you can do to protect you and your loved ones from this dangerous disease? Make sure to join us for a FREE WEBINAR and learn the 3 Principles You Need to Know to Protect You and Your Loved Ones from Breast Cancer. In this 3-minute clinic we discuss the two major risk factors that contribute to breast cancer, from a Preventive & Integrative Medicine perspective, and what you can do about it. Be sure to check out 3 Foods to Eat to Prevent Breast Cancer and The Role of Emotional Stress & Breast Cancer for more breast cancer prevention tips. You can also join us for a FREE WEBINAR and learn the top strategies for building your body’s natural breast-cancer fighting capacity and decreasing your risk for breast cancer. Did you realize that ongoing emotional stress can cause hormonal imbalances, weaken the immune system, and increase your risk for breast cancer? In this 3-minute clinic we discuss the steps you can take to alleviate emotional tension, create emotional balance, and lower your breast cancer risk. For more information on building your body’s natural breast-cancer fighting capacity, join us for a FREE WEBINAR! Soy Products & Breast Cancer: Do They Increase or Decrease My Risk? As part of Breast Cancer Awareness Month, let’s revisit a common question as it relates to soy products and breast cancer. You can also join us for a Free Educational Webinar on the Future of Breast Cancer Awareness to get any other questions you may have answered regarding breast cancer prevention. Are soy products good for your health or do they increase your risk for disease? Do soy products protect against breast cancer or increase your risk for breast cancer? In the last few years there has been a lot of information in the media questioning the safety of soy. Let me address a few of these concerns, particularly as it relates to breast cancer. First off, it’s important to note that soy can be a staple to a healthy diet and has been show to help prevent a wide variety of chronic illnesses such as heart disease, osteoporosis, and many cancers–including breast, colon, and prostate cancer. [i],[ii],[iii] When you take a closer look at the nutritional profile of soy, it makes sense. Soy is a high-quality, alkaline protein source. It is also rich in fiber, phytonutrients, and antioxidants, all of which play an important role in protecting the body from long-term illness. With that in mind, let’s take a quick look at the benefits of soy, and then we can discuss the concerns that people have regarding soy and breast cancer. Why Do Some People Believe Soy is Unsafe? Despite the clinical research that suggests otherwise, it’s common to hear from time to time that soy products may be unsafe as it relates to breast cancer. So what is it that people are concerned about? The concern is typically around the isoflavones, also known as phytoestrogens, that are found in soy. Since increased estrogen levels in the blood have been associated with higher levels of breast cancer, some people have speculated that the plant-based estrogens (phytoestrogens) in soy might increase the risk of breast cancer as well. At the surface, it sounds like a reasonable theory. However, when you take a closer look at the science, this theory doesn’t hold up. Interestingly enough, the impact of the phytoestrogens is just the opposite. Phytoestrogens, which are significantly weaker than human estrogen, have been shown to inhibit estrogen’s effects on the body when estrogens levels are high. [ix] What happens is the phytoestrogens can attach to the body’s estrogen receptor cells, and block endogenous and exogenous estrogen from attaching. Endogenous estrogen is human estrogen produced by the body. Exogenous estrogen is synthetic estrogen that can come from hormone replacement therapy or from exposure to synthetic chemicals–such as pesticides and heavy metals that make their way into our food supply–that have estrogen-like effects on the body. I like to tell my patients that it’s kind of like a game of musical chairs. When the music stops, and someone is already sitting in your chair, there is nowhere for you to sit. In this case, the phytoestrogens are already sitting on the estrogen receptor sites, and keep the more harmful estrogen from attaching. In this way, the phytoestrogens can protect the body against high levels of endogenous and exogenous estrogen in the blood stream. This is one of the mechanisms by which many researchers believe soy products and the phytoestrogens in soy reduce the risk for breast cancer. So what’s my overall recommendation on soy? Soy products can play a healthy role in your nutritional program–particularly as part of a plant-based, high-fiber, low saturated fat, phytonutrient-rich, antioxidant-rich, alkaline, chemical-free nutritional plan. My clinical observations are consistent with epidemiological studies & clinical research that show that soy can help prevent breast cancer as well as reduce the risk of other long-term illnesses such as prostate cancer, heart disease, and osteoporosis. Keep in mind, when choosing soy products, be sure to emphasize organic, non-GMO, minimally processed soy. For example, tofu, soy milk, and soy yogurt, as well as fermented soy products such as tempeh, natto, and miso are all great options for including soy in your diet. Products that are heavily processed, commercialized, and filled with soy-protein isolate–such as some of the fake meat soy products–are probably not your best dietary sources of soy. [i] Badger, T. M., Ronis, M. J., Simmen, R., & Simmen, F. A. (2005). Soy protein isolate and protection against cancer. Journal of the American College of Nutrition , 146S-149S. [ii] Pipe, E. A., Gobert, C. P., Capes, S. E., Darlington, G. A., Lampe, J. W., & Duncan, A. M. (2009). Soy protein reduces serum LDL cholesterol and the LDL cholesterol:HDL cholesterol and apolipoprotein B:apolipoprotein A-I ratios in adults with type 2 diabetes. The Journal of Nutrition , 1700-1706. [iii] Koh, W. P., Wu, A. H., Wang, R., Ang, L. W., Heng, D., Yuan, J. M., et al. (2009). Gender-specific associations between soy and risk of hip fracture in the Singapore Chinese Health Study. American Journal of Epidemiology , 901-909. [iv]Badger, T. M., Ronis, M. J., Simmen, R., & Simmen, F. A. (2005). Soy protein isolate and protection against cancer. Journal of the American College of Nutrition , 146S-149S. [vi] Korde, L. A., Wu, A. H., Fears, T., Nomura, A. M., West, D. W., Kolonel, L. N., et al. (2009). Childhood soy intake and breast cancer risk in Asian American women. Cancer Epidemiology, Biomarkers & Prevention , 1050-1059. [vii] Shu, X. O., Jin, F., Dai, Q., Wen, W., Potter, J. D., Kushi, L. H., et al. (2001). 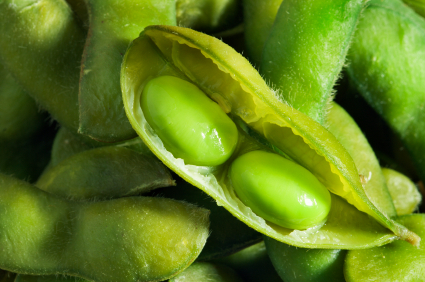 Soyfood intake during adolescence and subsequent risk of breast cancer among Chinese women. Cancer Epidemiology, Biomarkers & Prevention , 483-488. [viii] Shu, X. O., Zheng, Y., Cai, H., Gu, K., Chen, Z., Zheng, W., et al. (2009). Soy food intake and breast cancer survival. JAMA: the Journal of the American Medical Association , 2437-2443. [ix] Wiseman, H., O’Reilly, J. D., Adlercreutz, H., Mallet, A. I., Bowey, E. A., Rowland, I. R., et al. (2000). Isoflavone phytoestrogens consumed in soy decrease F(2)-isoprostane concentrations and increase resistance of low-density lipoprotein to oxidation in humans. The American Journal of Clinical Nutrition , 395-400. Is there a relationship between nutrition and breast cancer? Do you know the foods you can eat to build your body’s natural cancer-fighting capacity? In this 3-minute clinic we discuss the top 3 Foods that you can eat to build a powerful immune system and reduce your risk for breast cancer. Copyright © 2011 Meltzer Wellness Institute. All Rights Reserved.